Hello Crafty Supermarket & Cincinnati! We’re hittin’ the road for Small Business Saturday and our 1st ever appearance at the fantastic Crafty Supermarket in Cincinnati! 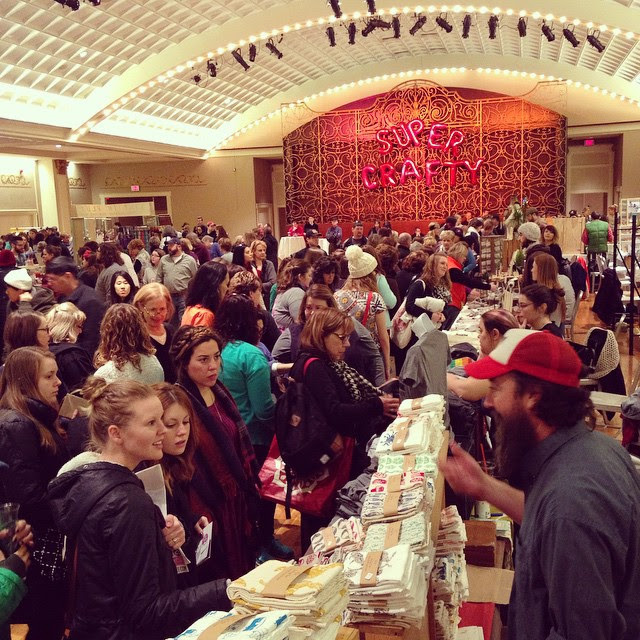 Crafty Supermarket is a great indie craft & maker market in downtown Cincinnati, OH that brings together shoppers who love and value handmade, small business and hand crafted work with the very makers and artists who make them. And we can’t wait to join those storied ranks this Saturday! Crafty Supermarket is FREE to attend with fun craft making room and great local food vendors too. What’s not to love about all that? Who: 90+ Makers and Artisans from around US + YOU! When: Saturday, Nov. 28, 2015 from 11 a.m. to 6 p.m.
For a complete list of Makers at 2015’s Crafty Supermarket, click on over here. Can’t wait to see you Cincinnati! This entry was posted in Craft Shows, Events, News & Events, Poster & Craft Shows and tagged american artists, american made, art, artists, cincinnati, cincinnati music hall, craft fairs, craft shows, crafty supermarket, crafty vendors, design, free things to do in cincinnati, hand printed posters, hand pulled posters, hand pulled prints, indie art, indie craft, indie craft fairs, indie craft shows, makers, printmaking, prints, screenprinting, silkscreen, strawberryluna by allison. Bookmark the permalink.